Chisago City, MN is a town of 5,000 about 35 miles north of St. Paul, nestled between Green, Wallmark, Chisago and Comfort Lakes. The land that today comprises Chisago County was detached from Washington and Ramsey counties on September 1, 1851. 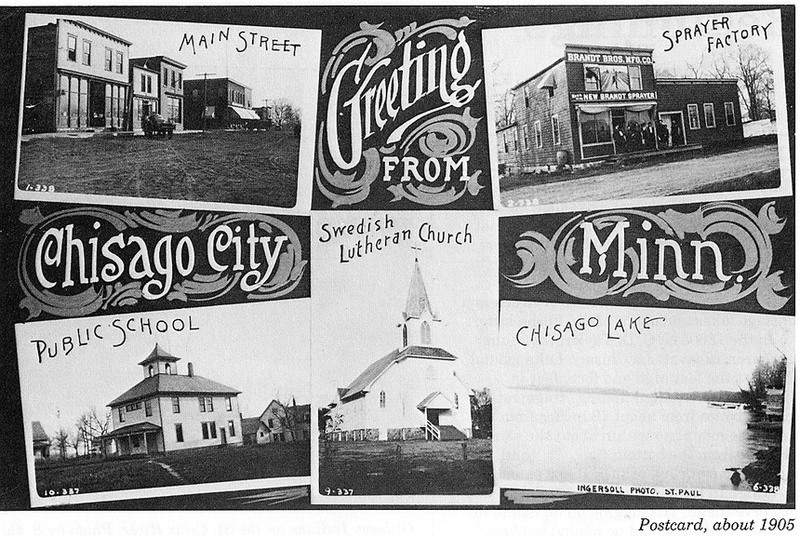 Settled by Swedish immigrants in the early 1850s, Chisago City was one of the first communities to form within the county. Since that time Chisago City has gone from an agrculture based economy (lumber, barrel staves and potatoes) only, to welcoming a surge of resort visitors starting in 1880 with the coming of the railroad, to becoming an exurb of the Twin Cities of Minneapolis and St. Paul. Once called “Peacefull Valley” by a tourist brochure of years past, the St. Croix Valley Area is now having a rebirth of local interest by those communities involved in its rich and diverse history and are taking the opportunity to share that with visitors. The St. Croix Scenic Byway website is a wealth of area information, and the larger St. Croix region is in the final stages of obtaining the designation of a National Heritage Area (StarTribune June 7, 2014) having submitted one of the final pieces required, a feasibility study. 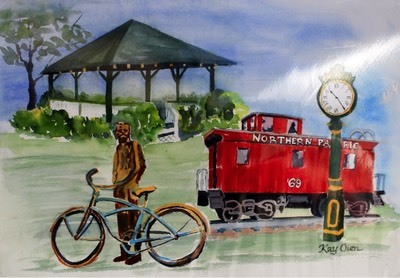 Pride in the history of the area is evident in the various pieces of monumental art throughout the communities, as well as things to do and see, some not so easy to find. In an attempt to provide information for visitors to our general area, a list was put together. That list covers from Scandia to Almelund and St. Croix Falls to Osceola, and includes: local buildings, places, historical markers, natural features, unique locally produced items, points of interest and a little bit of history. Included are many external links and borrowings from other sites. Chisago Lakes-St Croix Valley Area information (suggestions and comments welcome). Scenic Byway Swedish Ring - map & location information (from Scenic Byway website).